I am not an accomplished person, but one of the things that I am most proud of is that I do know a thing or two about baking pies! You see, having grown up in Taiwan and living there till my early 20s, I had never had pies prior to my coming to Canada. Pies were a novelty to me. But it's never too late to learn a few things once you are in a new country, right? I never knew that pie-making would become such a joyful and satisfying thing to do (much like stamping). Nothing is more special than sharing a piece of homemade pie with friends and family. Over the years, I've loved making fruit pies (apple, peach and pumpkin), Chocolate Pudding Pies, Pecan Pies and Chocolate Pecan Pies. 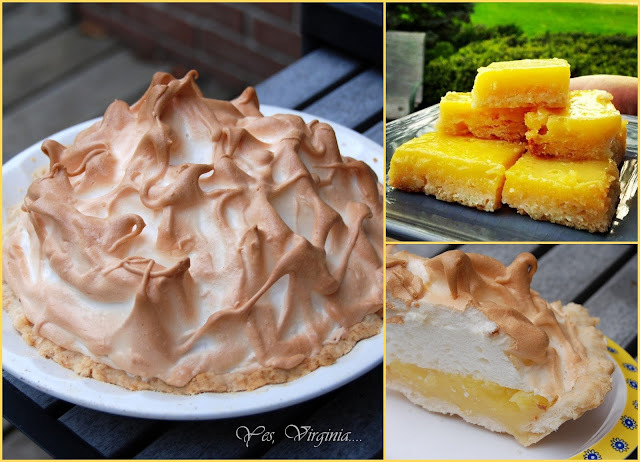 In recent years, my son David got me hooked on making Lemon Meringue Pie. David's Lemon Meringue Pie has quite a reputation and often wins rave reviews (see below, that's his pie!!)! Well, enough of my pie talk. 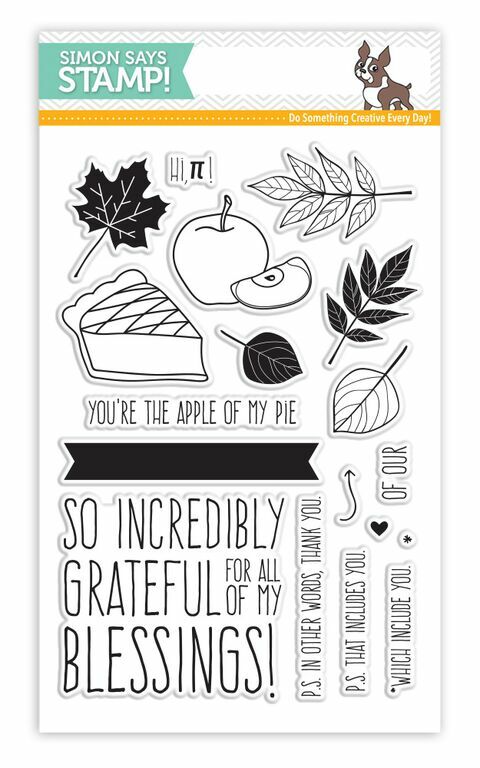 Here is a card with tons of PIES! 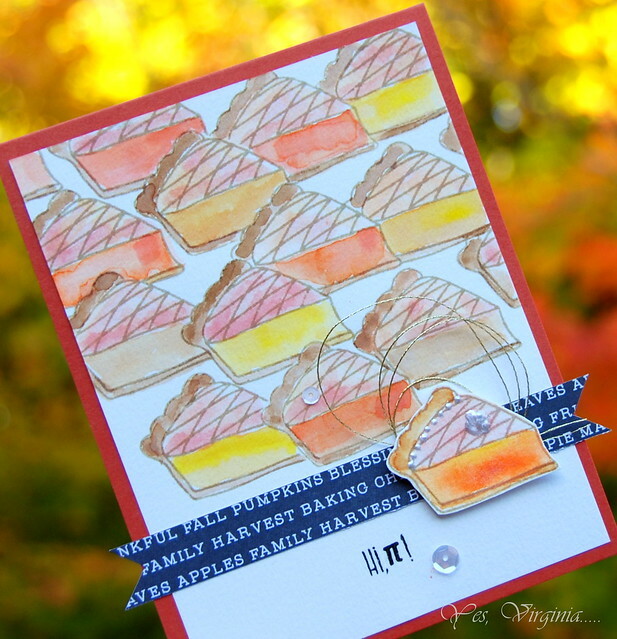 I used the pie image from the November Card Kit "Handmade with Love" and created a watercolored pie background. I started out with the bottom center piece of pie (in orange color) and masked my way up and stamped the entire background with pies! I also stamped and cut out a piece of pie and popped it up for the focal image. The strip of paper also came in the kit. The coloring was easy to do. I used Spectrum Aqua Markers and used a tiny bit of water to color the images. It was fun and therapeutic...and no calories! I added the "whipped cream" with Liquid Pearl and add some shine to the pie. 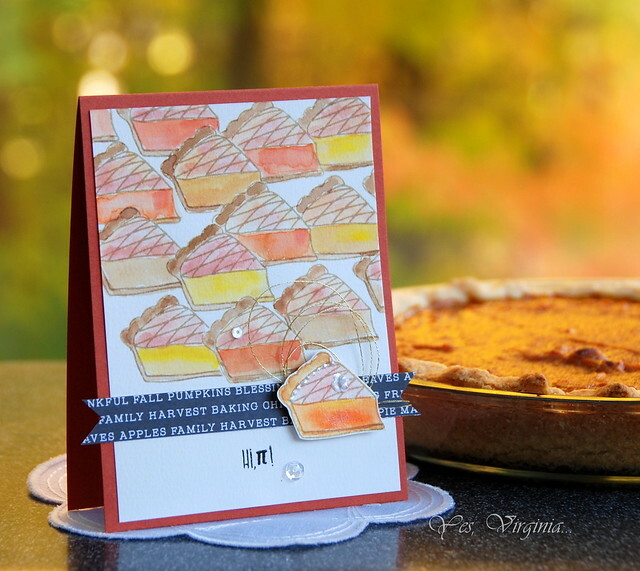 It's rare that I display a card along with pies (homemade Pumpkin Pie is in the background), but for this particular card, I couldn't help it as they are so fitting, right? Dr. John's Fjord post will return next Saturday. Thanks for stopping by! Today's project is the result of mixing my dies. 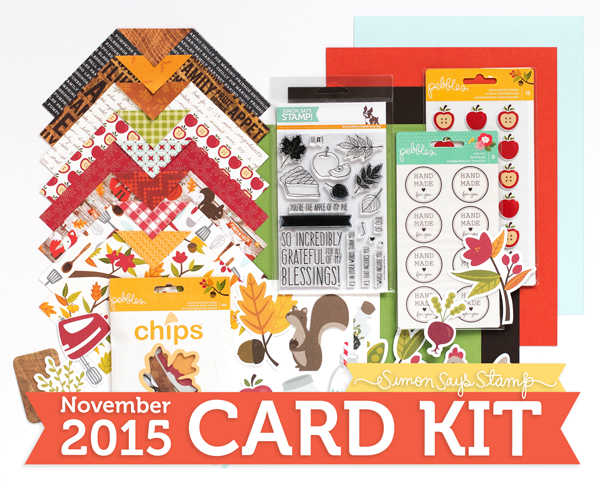 These dies and stamps are an unlikely trio... but somehow they CAN work together! 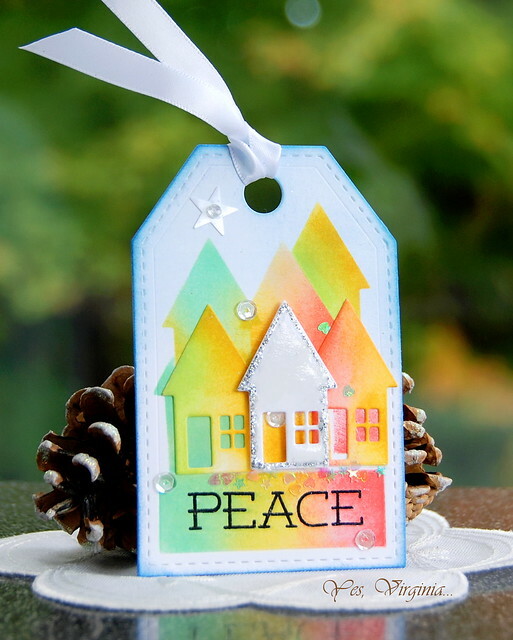 First off, I created a tag with the PS Gift Tag die. Then I made the die cut with the house (in Congratulations Circle Die). By using the negative part of the die as a stencil, I created a colorful background. 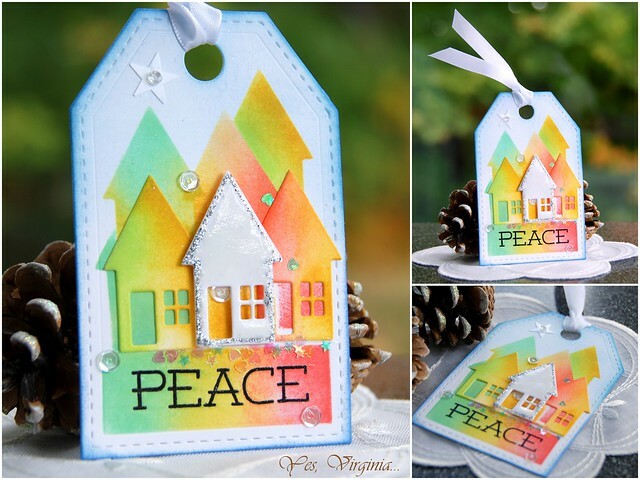 I then stamped the "PEACE" sentiment on the colorful stenciled background. The last part was to make a white house. I added white Pico Embellisher and silver Stickle around all the edges. For the final touches, I glued a few small sequins (circle, star and small confetti). A little creativity goes along way. You can say that this tag was inspired by my recent trip to Bergen, Norway. ...See the inspiration? I hope you are inspired as well. It's been a while since I played in any challenges, other than my own Virginia's View Challenge (coming up on Nov. 1st). Do not miss it! 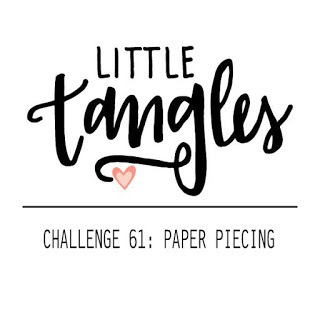 I wanted to take part in the "Little tangles" challenge and then came up with this card just yesterday. My inspiration came from my previous project (see here). 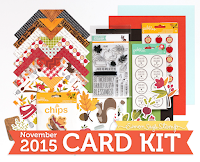 I chose 3 pieces of pattern paper (from Simon Says Stamp November Card Kit). 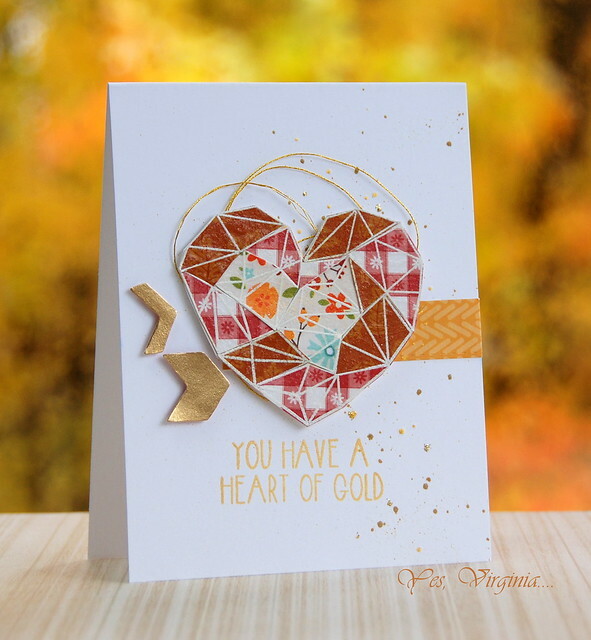 I wanted to create a heart that had a homespun feel. These Fall-themed pattern paper were perfect for this. I embossed in white on all 3 pieces of pattern paper and started cutting...one piece at a time. The trick for doing this type of design? Divide and conquer. I chose the Scripty Congrats for my entire design. This word die (along with many Scripty word dies) is fabulous for this type of design. First, I made many die cuts from white card stock, except one from the watercolor card stock. I took out my Peerless Watercolor and colored the letters with slight variations of colors. I layered all of them on vellum and then adhered them over stripey card stock. 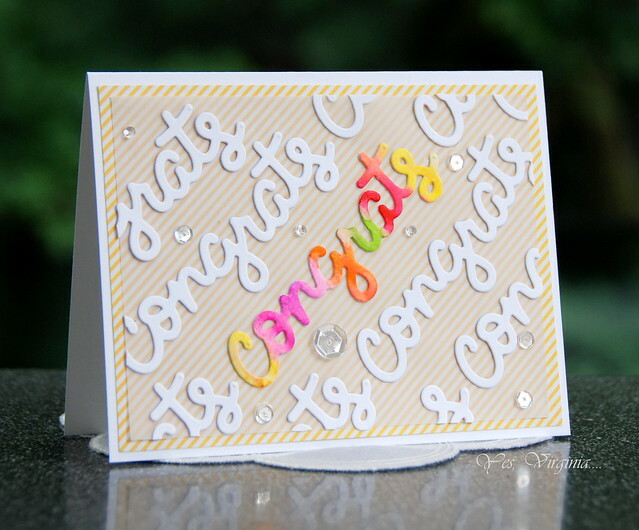 After adding a few clear sequins, this card was done! BTW, there is a special "TREAT" going on at SSS right now. One Layer with a WOW Factor! 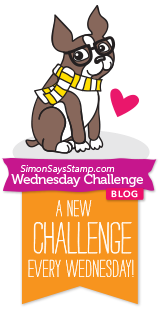 Gentle Whisper (Penny Black)--Two Ways!